Major ‘Wee’ Michael G H McPharlin was a very experienced pilot who started flying with the Royal Canadian Air Force, before transferring to 71 Eagle Squadron. After the squadron was disbanded in August 1942, on America joining the Second World War, he was assigned to 339th Fighter Group, while his old Eagle Squadron pals, formed the nucleus of the 4th Fighter Group. ‘Wee’ Michael was allowed often to fly with his old buddies and he was with them on D-Day – 6th June 1944 – when his plane, ‘Wee Ginny’ developed engine problems and crashed. Sadly, ‘Wee’ Michael didn’t survive the crash. 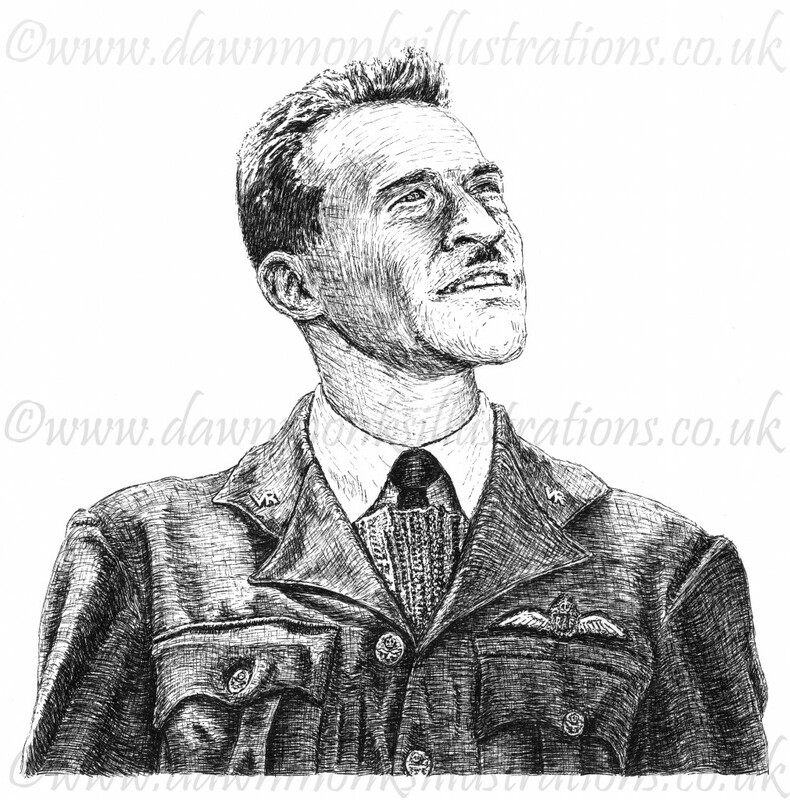 The portrait is drawn in pen & ink and was commissioned by an Eagle Squadron fan.